Note: This is not a sponsored post. I have been using Smugmug happily for years and am just a super happy customer. You will see, though, that I do use an affiliate link for Smugmug throughout this post. Why? Because if you do decide to sign up for Smugmug, by using my link we will both get a 20% discount! Photography is my passion. Whenever I look at anything, I can’t help but frame it up as a photo in my mind. When I see beautiful light shining through my window, I just have to take a photo. Photography is my creative outlet, it’s my memory capture, and it energises me. You can only imagine the number of photos I take. It’s literally in the thousands. And with taking thousands of photos each year comes the dreaded but required organization of all of those memories. I have recently shared my top 10 simple tips for family travel photography in a previous post and I hope you’ve had a chance to try those out. I have also shared how I pare down those thousands of photos I take and on Friday I will share all about our family album. But today I’ll discuss how you can keep those special holiday memories safe. Let’s chat about organising and backing up your photos and the tool I use, SmugMug. SmugMug, is an online cloud storage site that allows you to store an unlimited amount of photos and videos for $47.88 (US) per year. Or if you’re into making personalised websites or even selling your photos you can order an upgrade package with prices ranging up to $300 (US) a year, depending on the features you need. I currently use Smugmug for both photo and video storage. I find it super easy to upload photos each month, and I then have the peace of mind knowing that all my photos and videos are safe and secure. But what’s even better is that I have access to all of my photos wherever I have internet access. They also have a simple App for use on my other devices where I can view my photos, download them as needed, and still keep the precious storage on my computer free. But for me the most important feature is that for one flat annual fee I get unlimited storage. No worrying about upgrading, no worrying if my storage capacity is full, as is sometimes the case with other cloud based storage schemes. 1. )I have 7 main folders. 2.) Within each of these folders my photos are divided into sub-folders by year, and then each month gets its own gallery. If one type of event has a lot of photos, for example a holiday or special occasion, that will get its own gallery within the year. This makes it easy for me to find what I need quite quickly. Here’s an example: If I want to find a winter photo of my son learning to ski, I first go to my main folder for 2011 when he just turned 3. February is our month for ski holidays so I know to look in that month and there I will find photos of him at his first ski school. If I want to find a photo from our 2014 trip to Australia, all I have to do is pop into the 2014 folder and scroll till I see "Australia Trip". Since that event had so many photos, I gave it its own gallery. 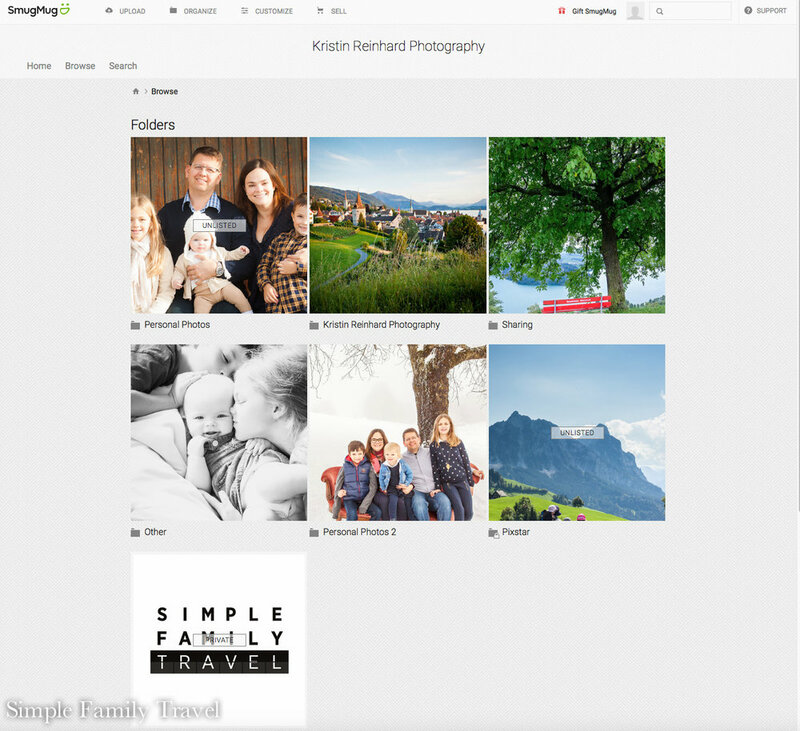 SmugMug makes it very easy to share photos with family and friends. We recently took a day trip with our family here in Switzerland and I took lots of photos I wanted to share with everyone. I made a separate gallery within the year of 2017 with all the photos and then sent them a link with a password so they could download whatever they wanted from that gallery. I can also send them a link to upload their photos to my gallery. I use this feature not just for family but for sharing photos from a choir concert with my fellow singers, or with the kids’ sports teams. We have a Pixstar digital photo Frame in our lounge room and we use SmugMug to host our photos for this frame. I have a gallery that is called “Pixstar 2016 gallery” which is all the photos from our 2016 family photo album. The photos then stream over WIFI onto our Pixstar photo frame and we can enjoy our photos every day. I also have a gallery for each kid that I like to put up on their birthdays. This system also works well for easily locating and downloading a photo to share on Instagram, use on my blog, or to just enjoy looking back on. I also organise my photos on my computer in the same way during the year. If my hubby wants to back up his photos, he can easily log in and find the place to back up to. We can both have access to all of our photos whenever we want. BUT MOST IMPORTANTLY, my photos are safe, secure, and backed up so that I have peace of mind. As long as I am up to date, I no longer worry what would be if something were to happen to my computer. 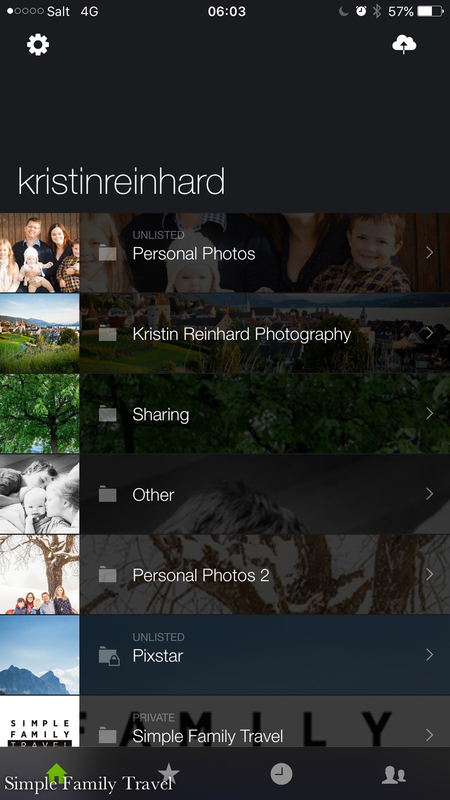 Organzing your photos seems like a daunting takes, but it's never too late. Even if you decide to organize that from today, or from 2018, your future self with thank you! Do you use an online cloud based service? More importantly how do you back up your photos?